The Massachusetts Keystone Project has been awarded a prestigious Environmental Service Award by the Massachusetts Association of Conservation Commissions. Led by UMass Extension a 3-day training workshop at Harvard Forest has been held every April since 1988. The award, given for outstanding environmental education, is well-deserved. Since 1988, Keystone Project leaders David Kittredge and Paul Catanzaro have led 26 training workshops, with over 500 Massachusetts community members participating as Keystone Cooperators. The non-native, exotic chilli thrips (Scirtothrips dorsalis) has been recently confirmed from two samples of damaged Hydrangea spp. foliage from two residential landscapes located in Barnstable County, Mass. submitted to the UMass Plant Diagnostics Laboratory. Representatives of the Center for Agriculture, Food and the Environment (CAFE) recently returned from a hectic trip to Washington, D.C., where they met with the state’s legislative delegations. CAFE’s volunteer champion Ken Nicewicz along with Extension educator Sonia Schloemann held annual “CARET” meetings with Massachusetts legislators in early March to discuss the work of the Land Grant units at UMass Amherst. Nearly 200 arborists, professors, town officials, utility employees and students attended this year’s tree conference held at the University of Massachusetts Amherst on March 7. While they came to learn about current tree issues of importance to communities (such as pests and diseases), the main emphasis of the day was on partnerships between communities and utilities. This topic was chosen as a result of last year’s survey requesting input from arborists on their preferred focus. The annual report for fiscal year 2016 from the University of Massachusetts Extension Nutrition Education Program (NEP) is full of impressive statistics. Through the power of numbers, one quickly gets a rundown of how many people are making healthier choices through direct work within communities. Bottom line: we are helping a whole lot of people in need find their way to healthier nutrition. Each year the UMass Stockbridge School of Agriculture and the UMass Center for Agriculture, Food and the Environment offers a workshop series for homeowners and small scale farmers. All workshops have a hands-on component that will help participants gain new skills that they can use in their own gardens or landscapes. Locations and registration fees vary. Dr. Hilary Sander, extension associate professor at the UMass Cranberry Station, has received the Northeastern Weed Science Society’s (NEWSS) highest award on January 4, 2017 at the annual meeting of the Northeastern Plant, Pest, and Soils Conference in Philadelphia. She was elected “Fellow,” the highest honor that can be conferred upon a member. 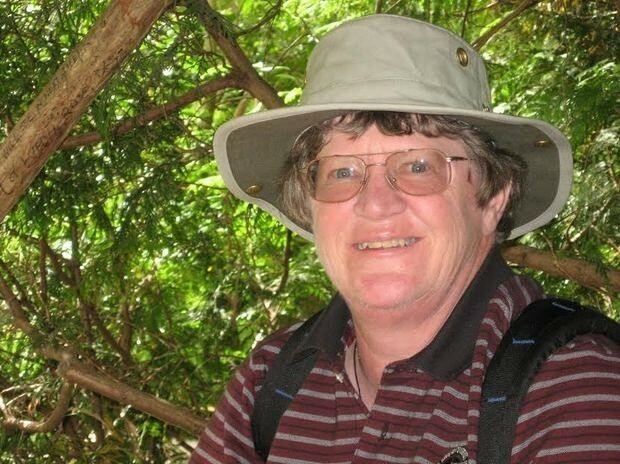 This life-time achievement award recognizes her steadfast dedication to research in the field of weed science. On a quiet Friday afternoon in early December, two UMass Amherst professors, authors of the just-released booklet Supporting Communities to Become River-Smart, discussed their policy recommendations with a gathering of planners, state officials from Massachusetts and Vermont, community members and others. Celebrating the new publication at a location alongside the Deerfield River in Shelburne Falls, site of significant flood damage during Hurricane Irene in 2011, seemed particularly appropriate. The Golf Course Superintendent Association of America (GCSAA) has named Patricia Vittum, associate director of the Center for Agriculture, Food and the Environment and professor in the Stockbridge School of Agriculture at the University of Massachusetts Amherst, a 2017 recipient of its Col. John Morley Distinguished Service Award, the first woman to receive it in the organization’s history. It recognizes an individual who has made an outstanding and significant contribution in both substance and duration to the advancement of the golf course superintendent’s profession. Vittum and two other honorees will be formally recognized at the 2017 Golf Industry Show (GIS) in Orlando in February. On a warm morning in November, coaches and teams of students from 18 Massachusetts high schools arrived on the UMass Amherst campus to get started on this year’s “Envirothon.” The 210 students came from across the state to attend a full day of environmental workshops to prepare for the 2017 Massachusetts Envirothon competition. Students participating in the Envirothon process across North America focus on one current issue for the year; for 2017 the topic is agricultural soil and water conservation. Considering our severe drought this year--connected to the ability of soil to retain limited water-- this issue is certainly timely here in Massachusetts.